The PCMK-Flex is a standard universal mount that is designed for many smaller projectors up to 15 lbs. It can be mounted flush to the ceiling, or attached to an optional pipe for installations requiring longer lowering distances. 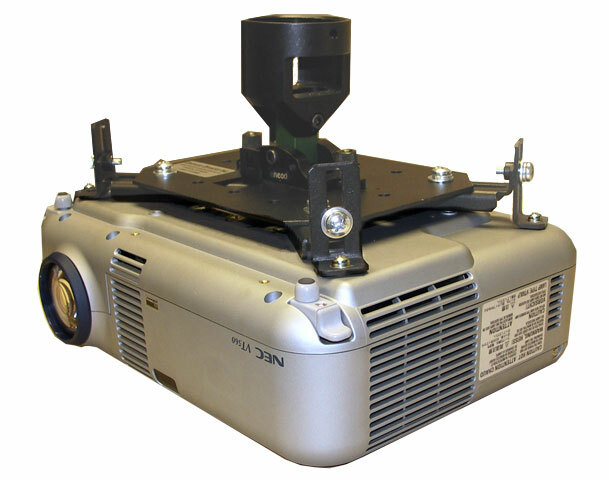 The Flex-Mount consists of a steel interface plate with four adjustable arms to position over the projector’s mounting holes. 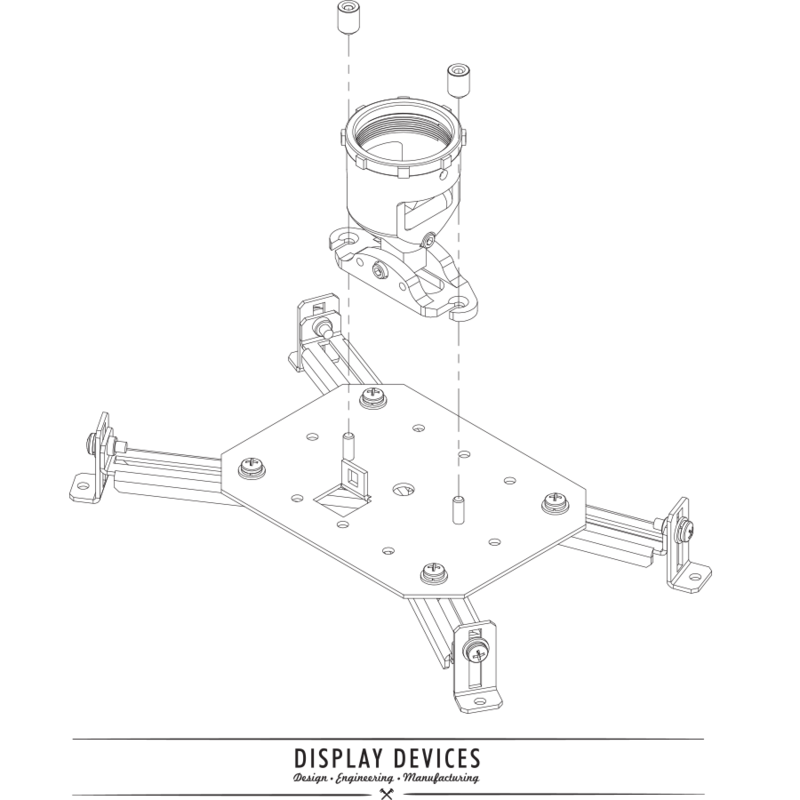 The unit includes two sets of adjustable arms: short and long for different configurations. Dimensions: 8"w x 6"d x 4.5"h, 3.2 lbs. Maximum projector hole spacing: 15" x 13"
Minimum projector hole spacing: 8" x 6"